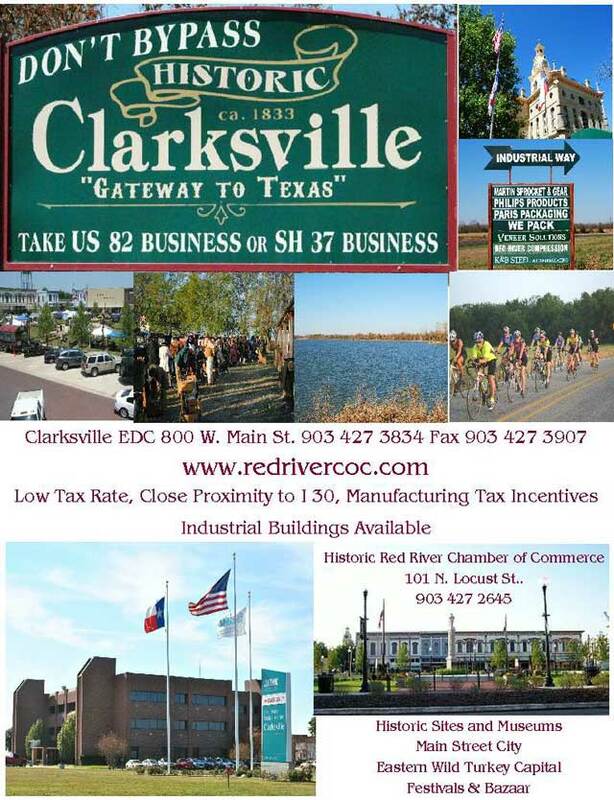 The Clarksville Industrial Foundation was organized in 1953 for the development of industry in Red River County. 2nd Vice President: James Vaughan, Jr.
Over 100 acres of industrial sites located near the loop with all utilities are available. The Industrial Foundation works in conjunction with the Clarksville Economic Development Corporation and the Chamber of Commerce to promote and assist any prospective industry. Ready to bring your industry to Red River County? Contact the Chamber to get started.